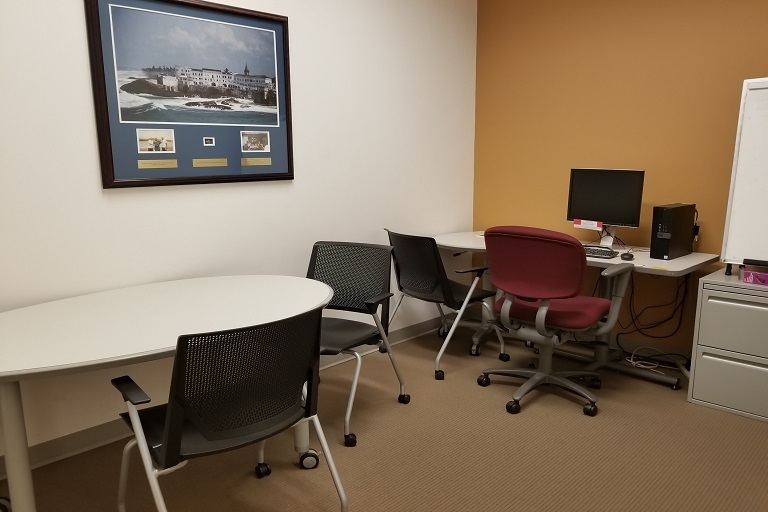 One small Group Study Room is available in the NMBCC Library furnished with an oval table, chairs, and a computer (no printing). The space may be reserved by students, faculty or staff for a variety of uses (meetings, discussions, office hours, or individual study). The room is not soundproofed and may not be used for rehearsals of any sort, phone/internet interviews, video production, and the like. Reserve by contacting NMBCC library staff via email at bcclib at indiana dot edu.